We have a new addition to the BFS Bird List — the Sora (Porzana carolina). 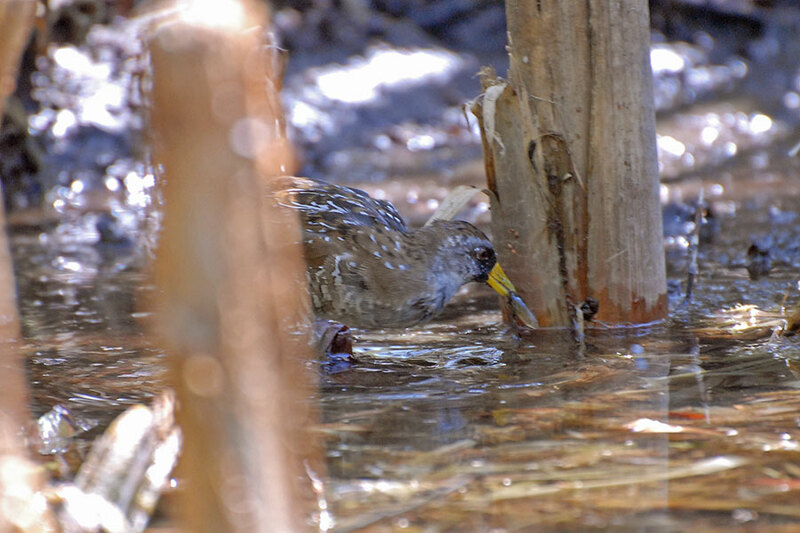 The Sora is a small, secretive bird of freshwater marshes and is most often found in cattails and bulrushes, where it forages for snails, small crustaceans, insects, and seeds. At the BFS it was seen foraging among the cattails between the two little islands in pHake Lake. Since the lake level has been lowered to facilitate cattail removal, this area has become basically a mud flat with some shallow water — just to the Sora’s liking! 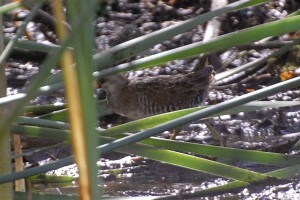 A Sora behind the little island in pHake Lake. This photo gives a good sense of the Sora's coloration and its stout, yellow bill. The Sora belongs to the Railidae family and is the most common and widely distributed rail in North America. Other Railidae at the BFS include the American Coot and the Virginia Rail, which also skulks around in the cattails. 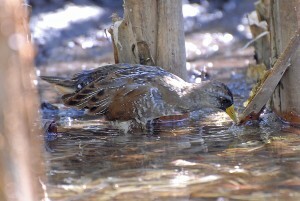 The Sora has a grayish body, a short yellow bill, and black on its face, while the Virginia Rail has a longer thinner red bill, a more reddish body, and no black on the face. Since the Sora is hard to spot, you may have more luck hearing it. It has two distinctive two distinctive calls — a long, high, descending whinny and a two-noted “sor-AH” call, with the second note higher. You can hear recordings of the calls on All About Birds. 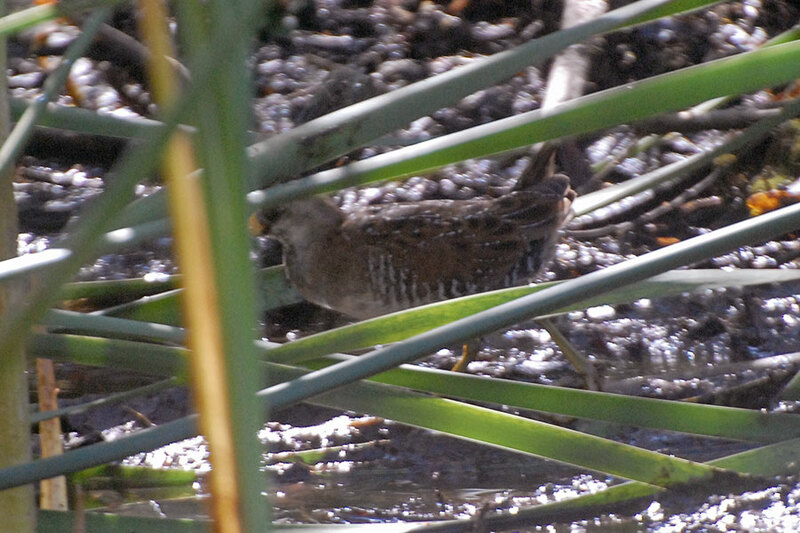 Many thanks to Dan Stoebel and Nina Karnovsky for identifying the Sora!